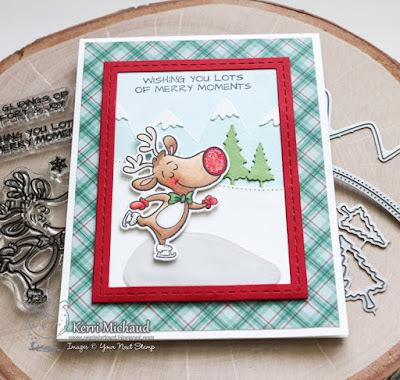 Your Next Stamp Fun Friday 103-A Caroling We Will Go! Hello! 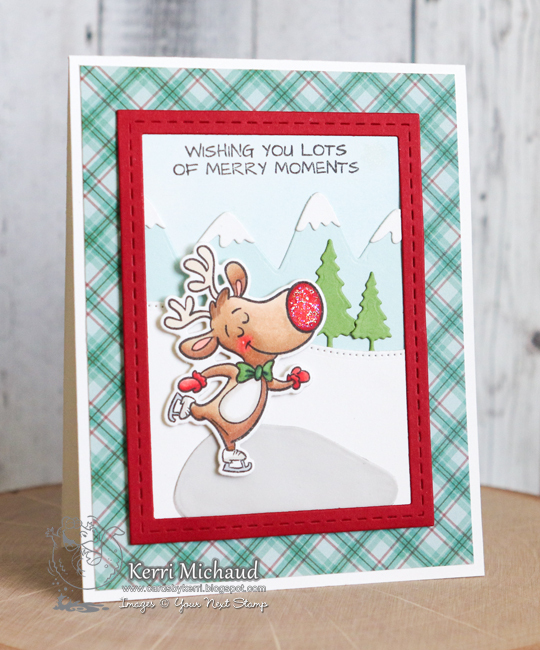 It's time for a new Fun Friday Challenge at Your Next Stamp and this time we want you to create a card based on a Christmas carol! I based my card on "Rudolph the Red Nosed Reindeer" and I used this super adorable image from the set Good Glidings:) I stamped my image with Black Olive Ink and colored with Copic Markers. I then cut him out with the coordinating Good Glidings Die Set. To create my scene I used the Snowy Mountains Edge Die, the Double Pierced Hills Die Set, and the Skating Rink Scene Die Set. The dp comes from the YNS Mint Cocoa Kisses 6x6 Paper Pad.